At Travel Money NZ, we’re a bit of both. Whilst we are softies that love a good Hugh Grant movie, we too are slightly bitter from our experiences with an ex… Though perhaps not the ex you are probably thinking (we’re a company, it’s not possible for us to have a relationship). 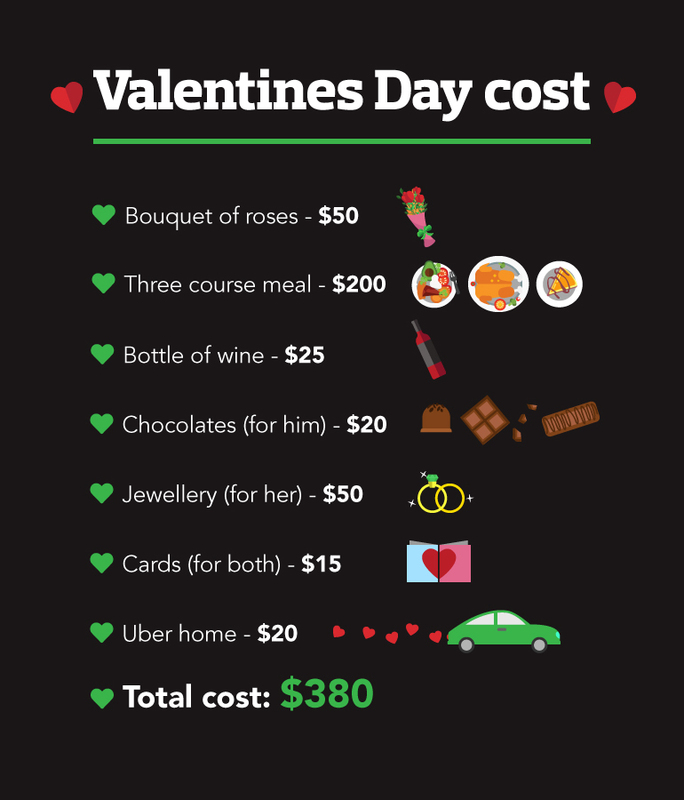 We did some very accurate* research on the average cost of Valentine's day for a couple in New Zealand. Let’s just say you decide to save that $380 and put it towards a holiday. 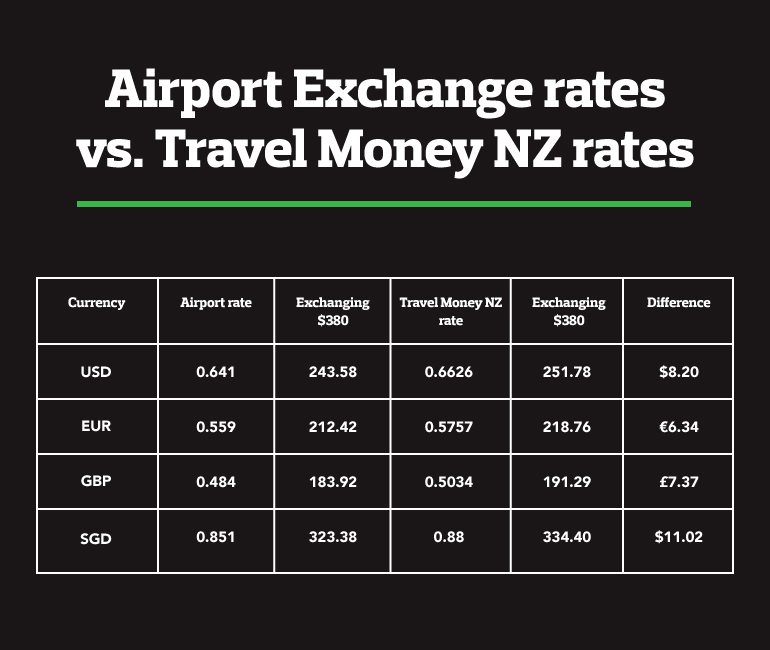 We’ve had a look at how much you would get exchanging that $380 at an airport, compared to purchasing from Travel Money NZ. See, we told you! Airport rates are the worst. This conversion doesn’t take into account their service fees or commissions either (don’t worry, Travel Money NZ doesn’t have those). A little bit of research (or in relationship terms, social media stalking), combined with the ability to talk about what matters most to you (Best Price, Cash Commitment or Rate Guard?) 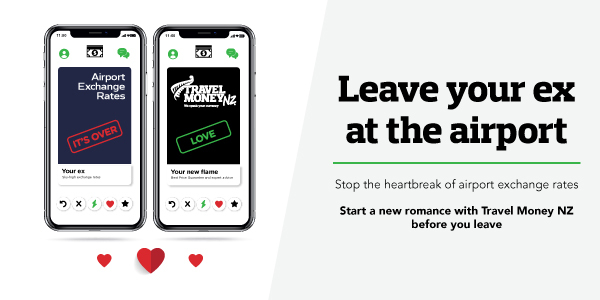 will leave you with more money in your back pocket and an urge to start a long term relationship with Travel Money NZ. Terms and conditions apply to Best Price Guarantee, Rate Guard and Cash Commitment. See travelmoney.co.nz for more details.